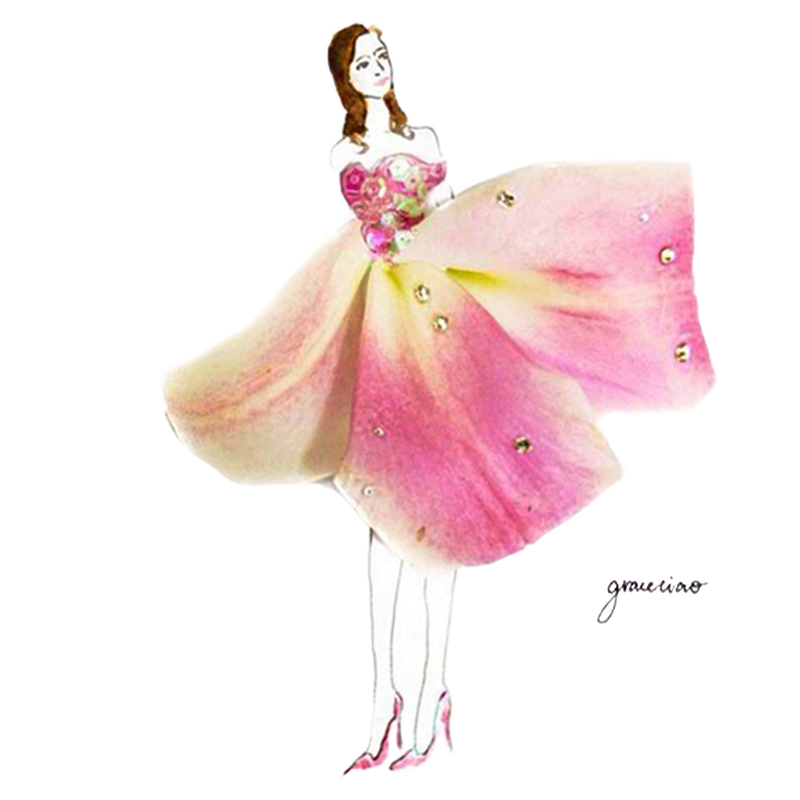 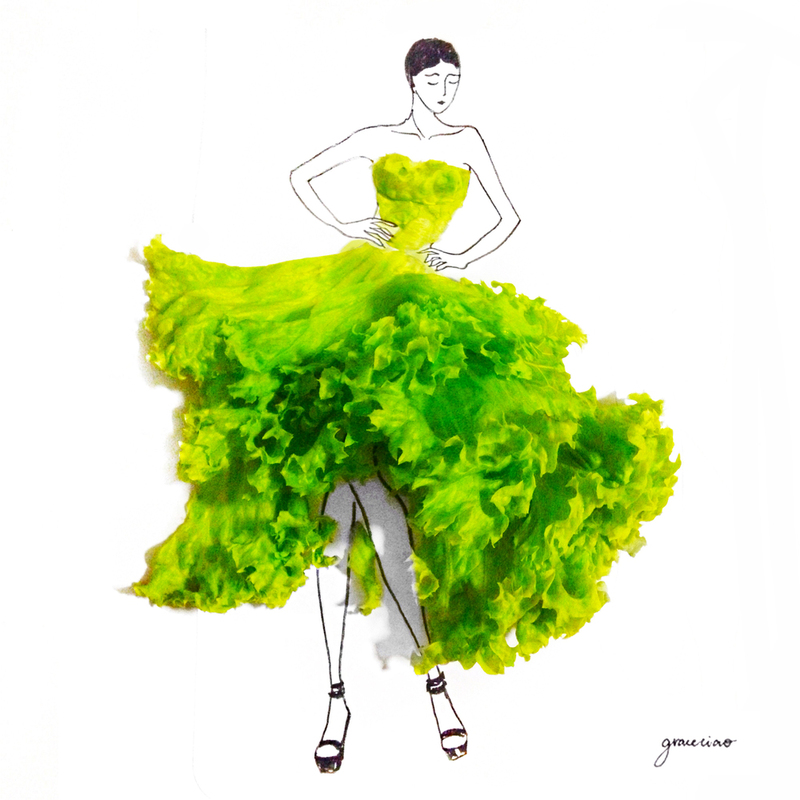 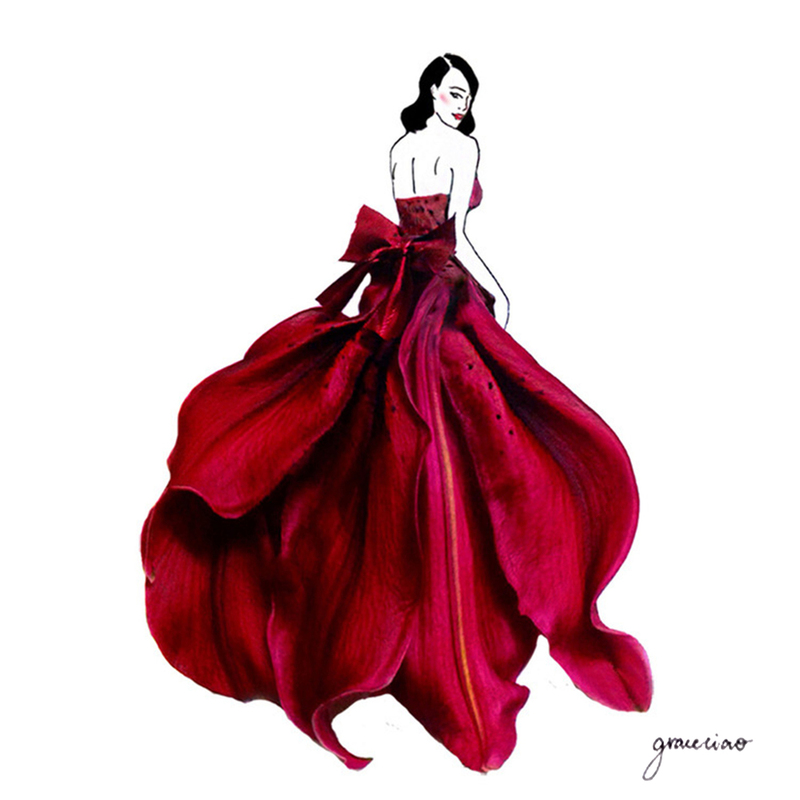 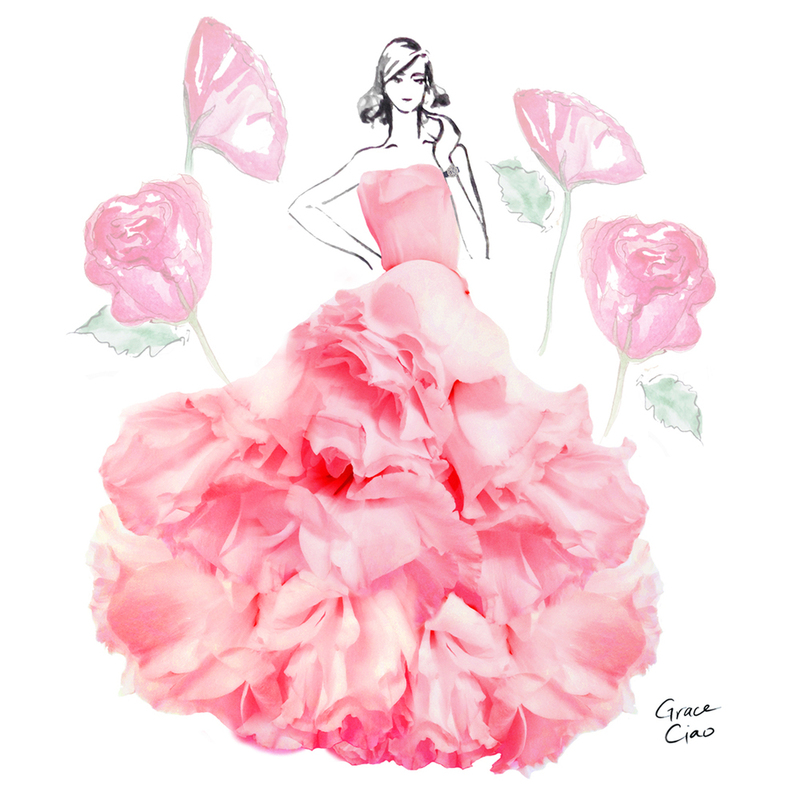 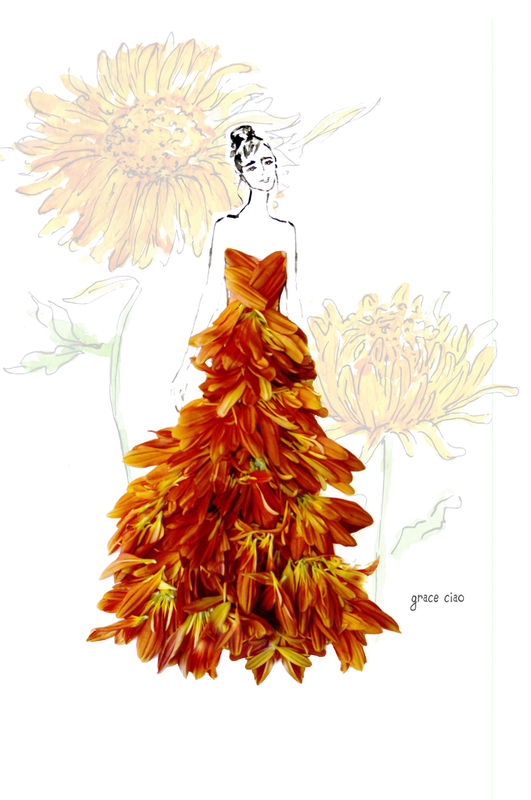 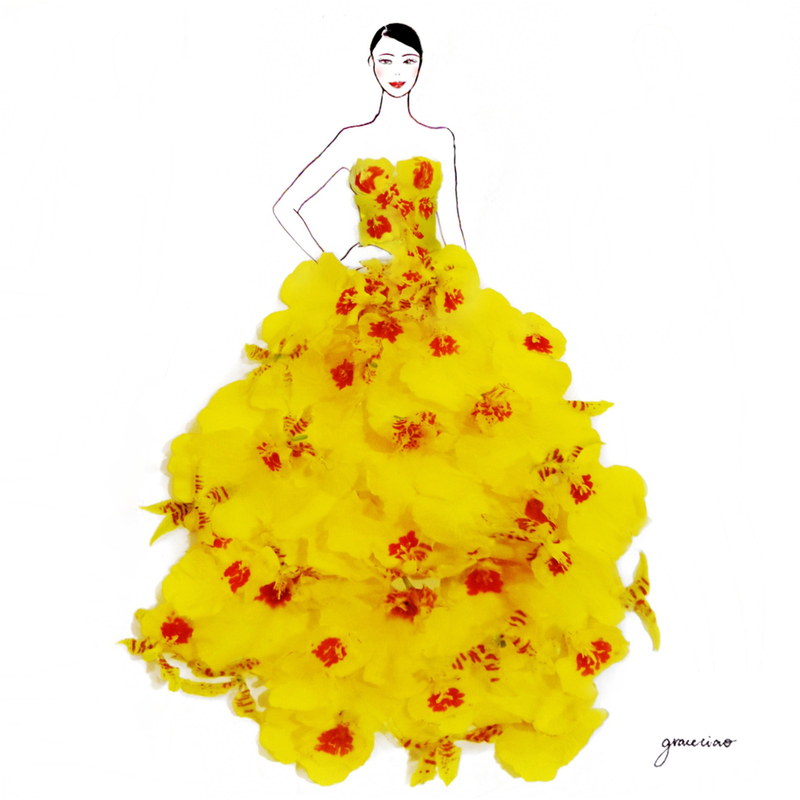 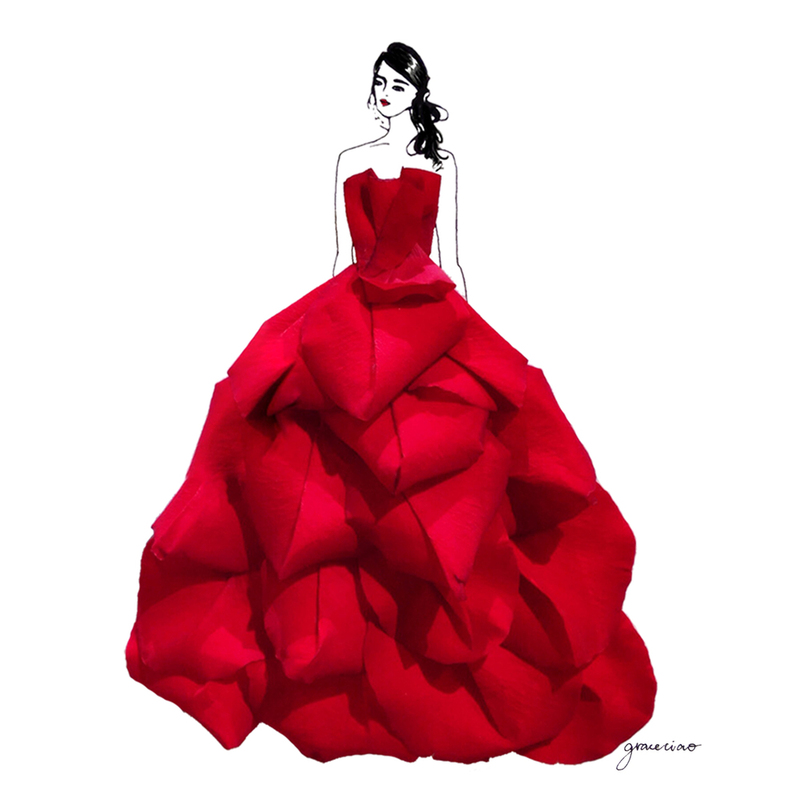 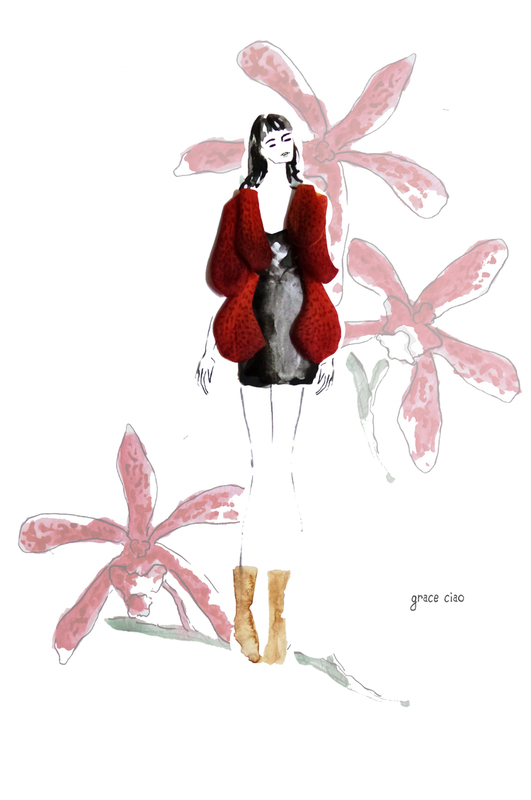 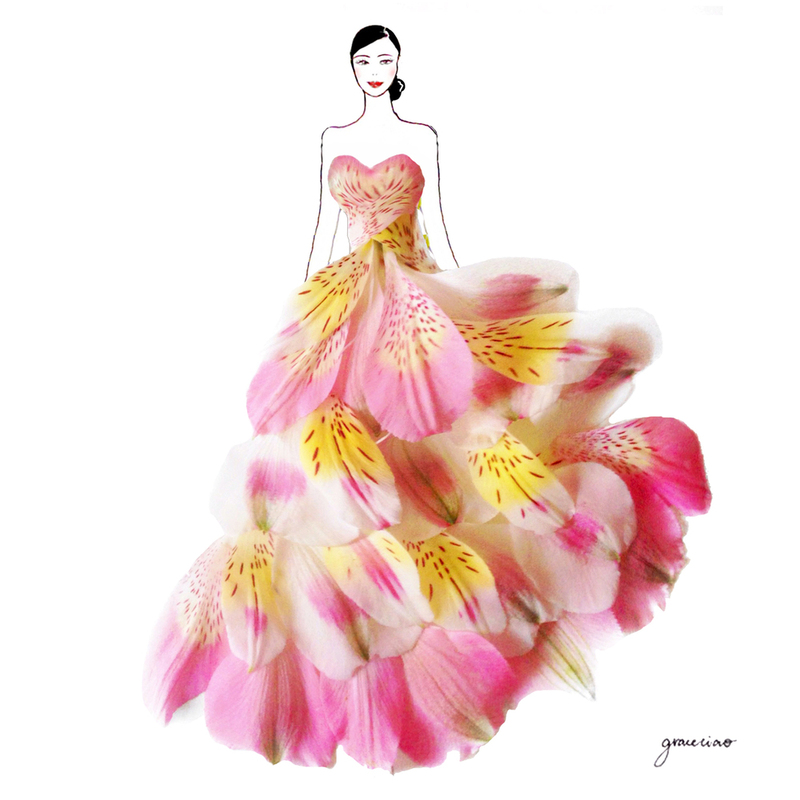 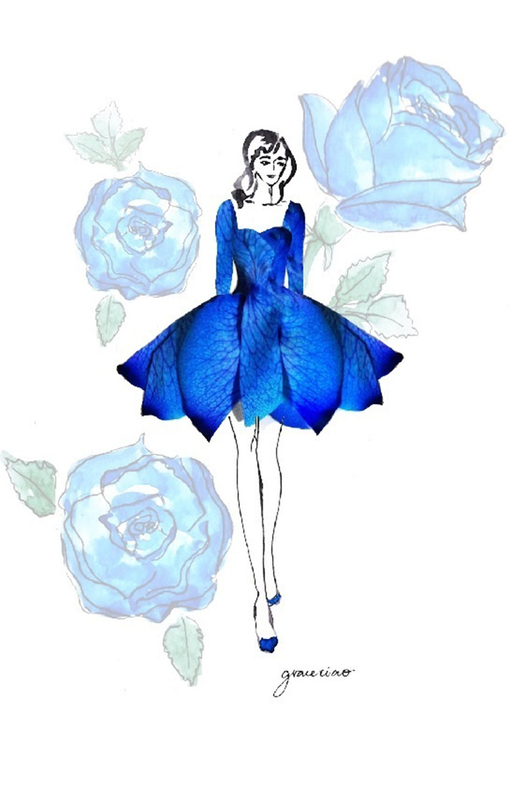 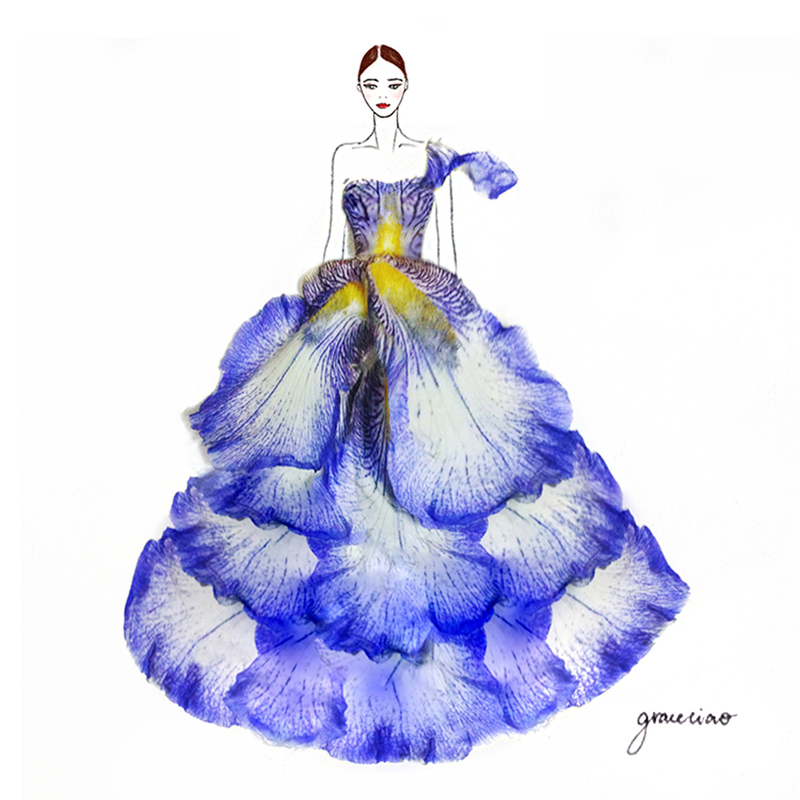 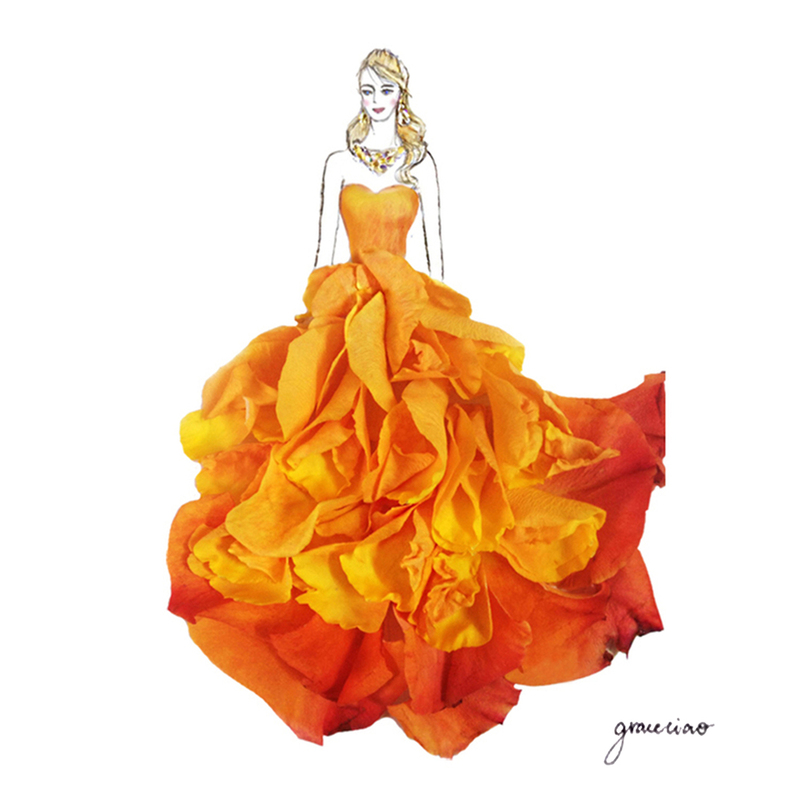 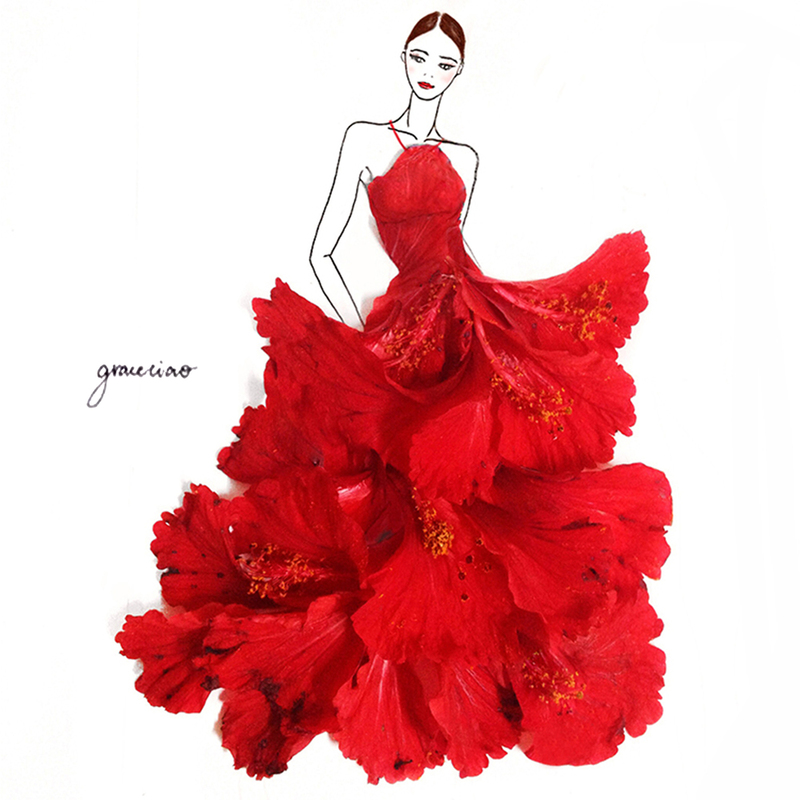 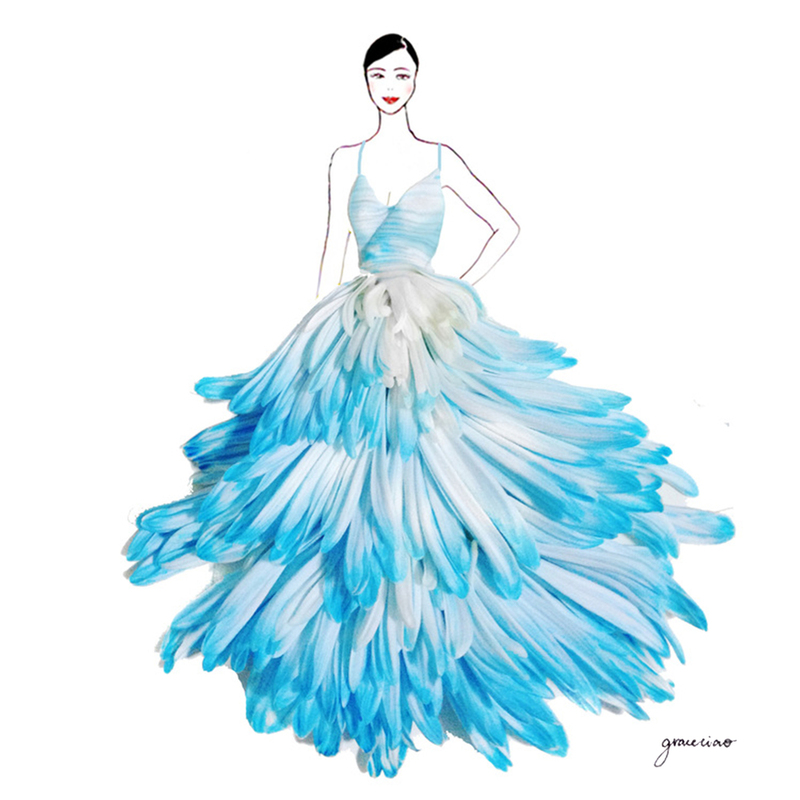 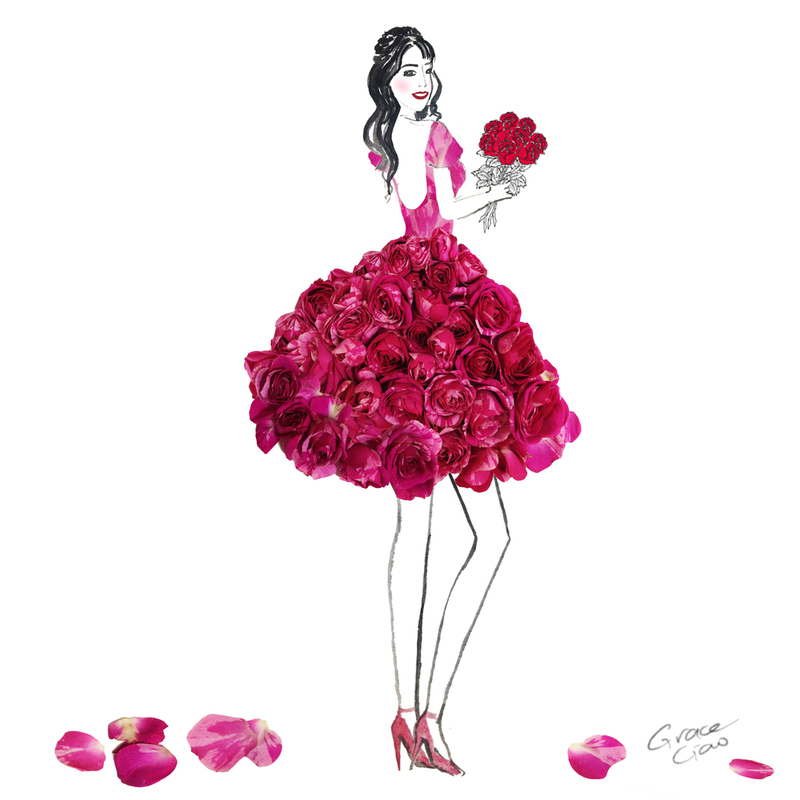 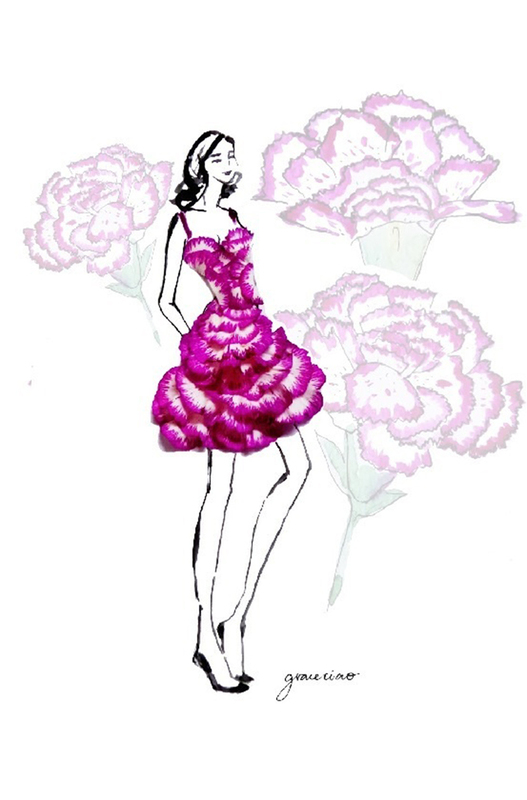 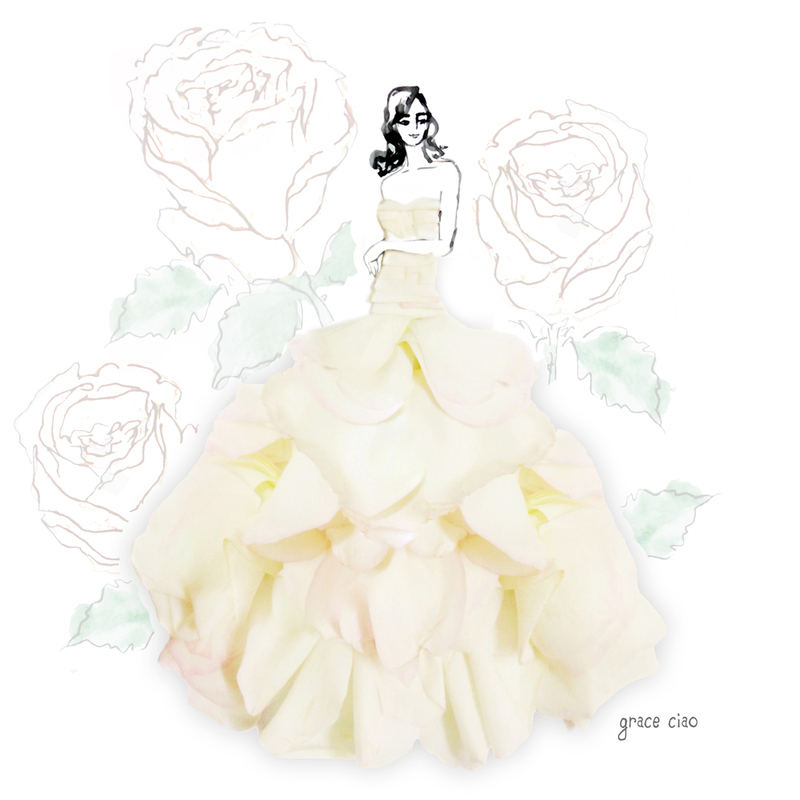 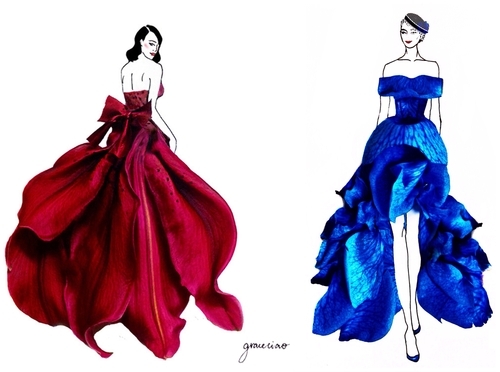 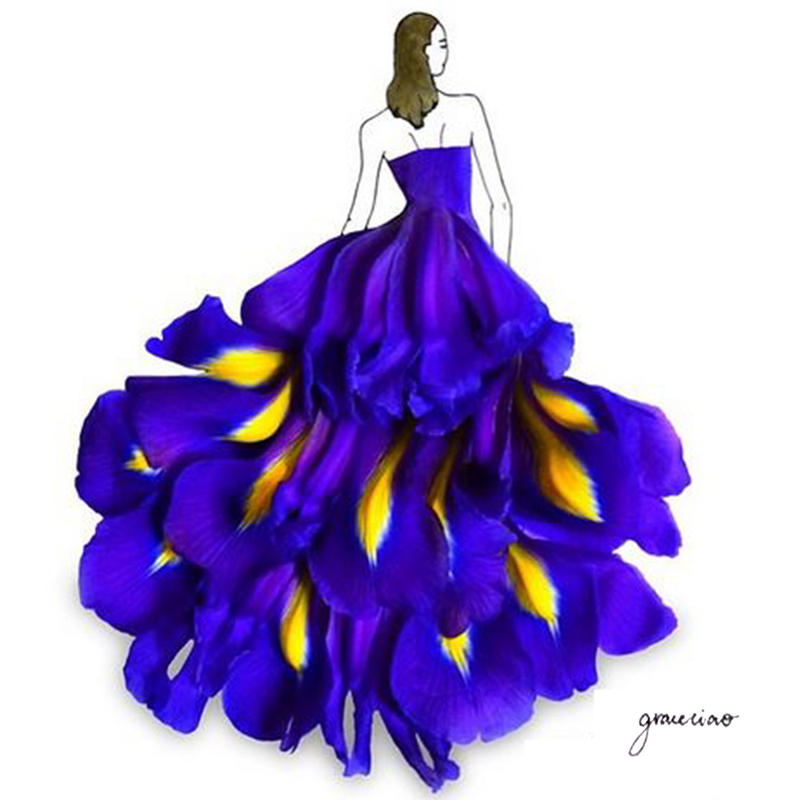 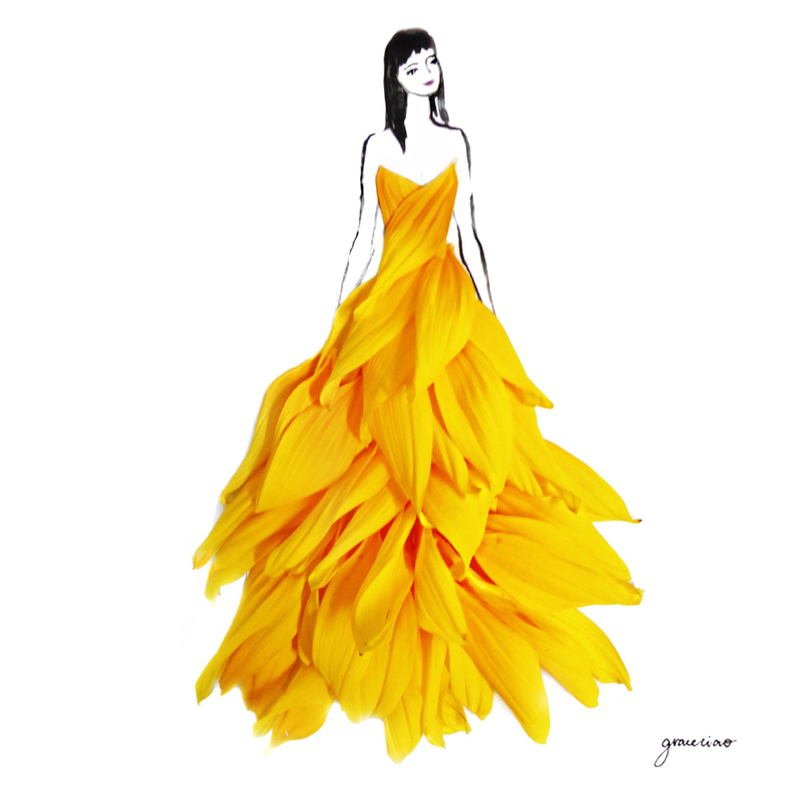 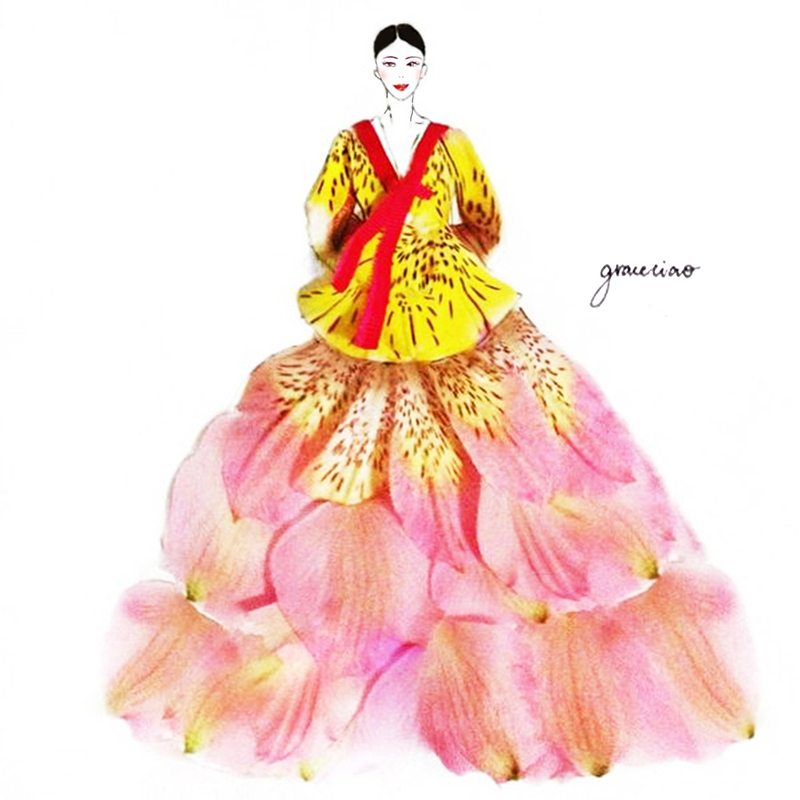 This is the second time we feature Singaporean Artist Grace Ciao and her magnificent use of flowers to create catwalk worthy blueprints for dresses. 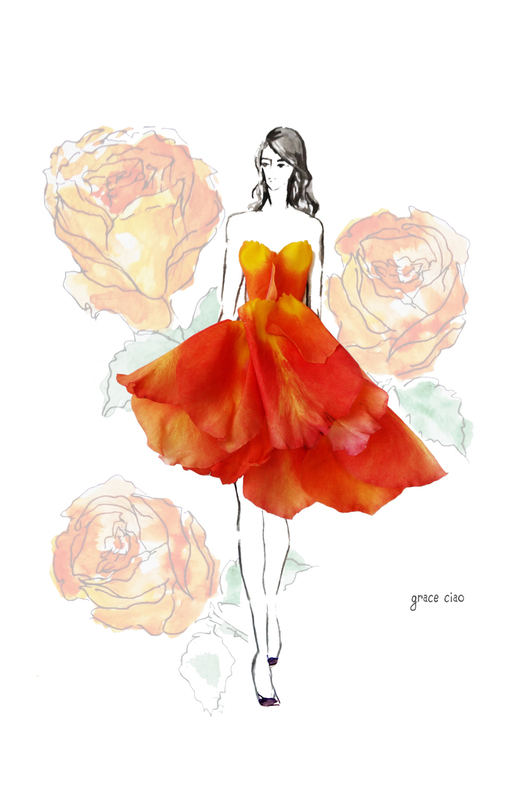 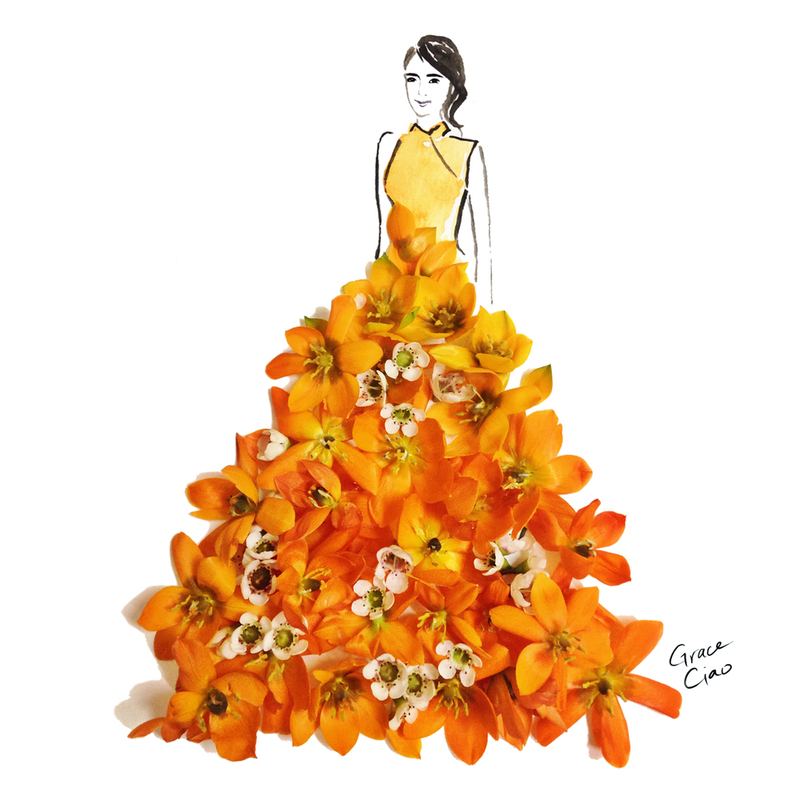 Nature has to take some credit for the beautiful tones, curves and shapes of its creations, but Ciao really has an eye for getting the above features of flowers and combining them, precisely placing them to make them look like a perfectly proportioned dress culminating in an exquisite collaboration between her and Nature. 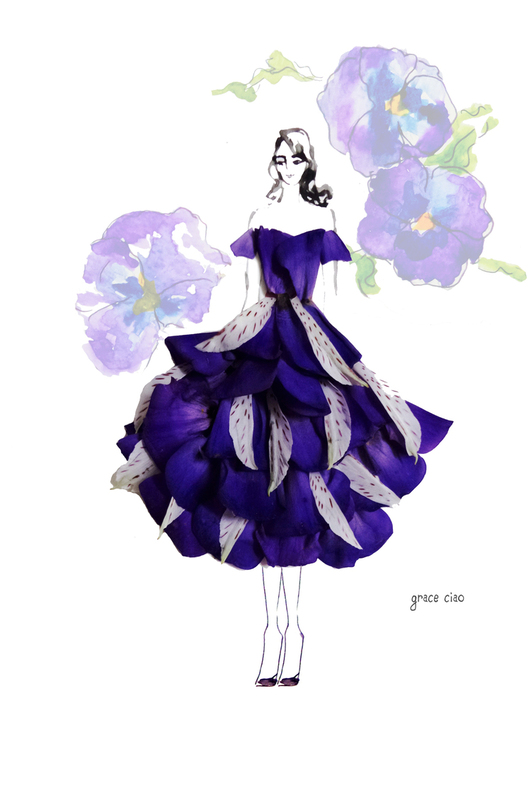 Layered Violet Body Hugging Dress.